Has anyone else enjoyed a visitation today? 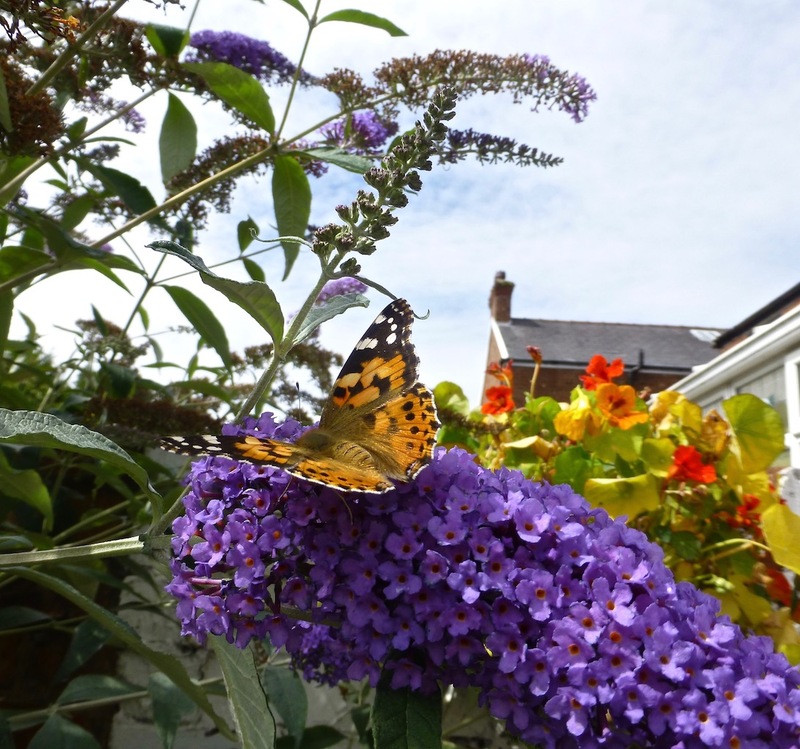 There were Painted Ladies on the buddleia at Dempsey Towers in Ainsdale all day – was I just lucky or has there been an influx that I am not aware of, deep in the doldrums? All the butterflies were flighty and feeding like crazy, occasionally taking a break for a bit of basking. A few Migrant Hawkers about too. We DO do butterflies. We do jelousy, too. 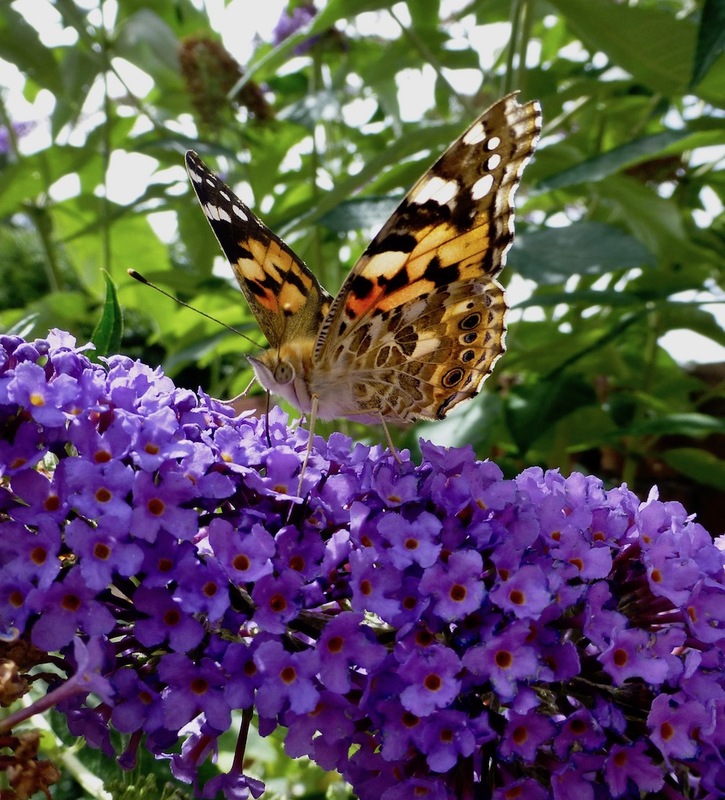 Nothing like it in our Manchester garden, but we’ve only seen three or four Painted Ladies so far when out and about. 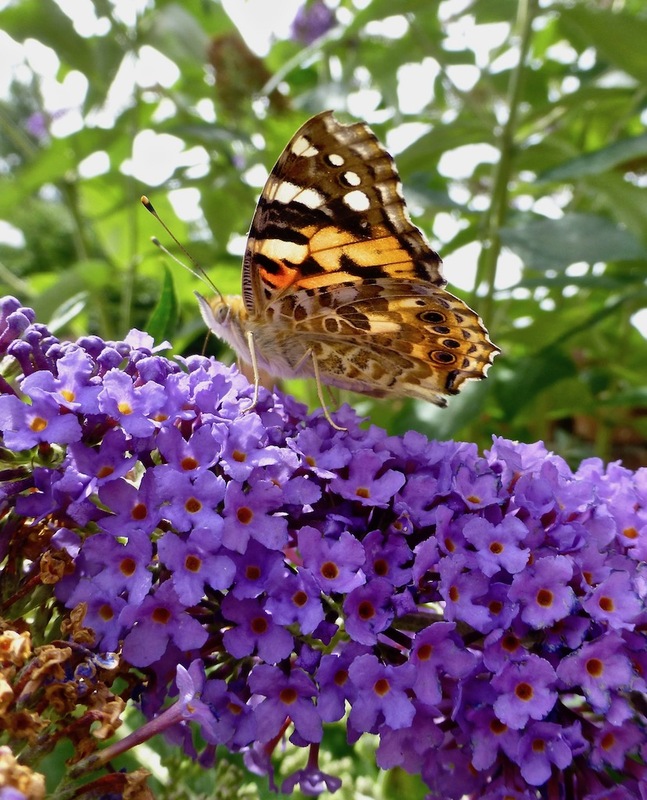 Painted Lady on the superb Sea-lavenders at Marshside on 23rd July. Waders building up at Hightown shore today with 350 Curlew, 250 Oystercatcher, 1000+ Dunlin, etc. Also 5 Little Egrets.